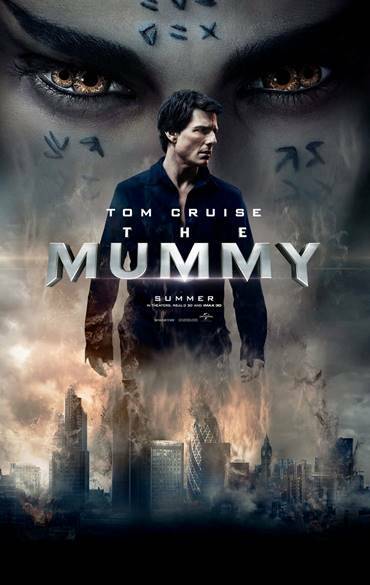 Tom Cruise leads a talented cast in action thriller "The Mummy," out in theaters June 9. Thisfunktional is hosting a prize pack giveaway on behalf of "THE MUMMY." All you need to do to enter is like my Facebook page: ThisfunktionalLA, share the contest and message me your address. I will let winners be surprised when they receive their copy. Disclaimer: 3 winner will be chosen. Contest runs to June 07, 2017. Winners will be notified on June 07, 2017 with instructions on how to claim your prize. No purchase necessary. Prize provided by 42 West. Only open to the U.S., no PO Boxes or international addresses. I'm pretty excited to see this in th coming week. I really hope that the parts in the previews aren't going to be all the excited action thrills that's in the movie. Love tom cruise and the costume (well tattoo design too lol) look amazing!